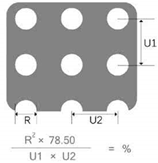 Perforated metal is also called perforated sheet. It was a metal sheet been perforated with different shape of the holes or patterns. 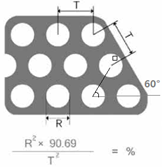 Hole size and shapes can be different choice from customers. Most common shapes are round, square, oblongs. we are able to supply the customized pattern of perforation in different type of material, different thickness and different size. 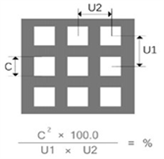 Most common material we fabricate are perforated mild steel, perforated aluminum, perforated stainless steel, perforated galvanized steel and perforated Corten steel. 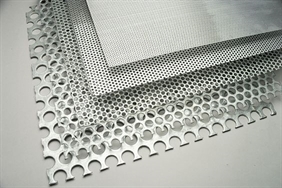 Perforated Metal is broadly used for architectural and construction industries, such as perforated metal building façade, perforated metal cladding，perforated acoustic panels，perforated sound isolation sheet, decorative perforated sheets for stairs or balustrade infill perforated panel, ventilation systems, oil and air filter, sifting in grains and mine. 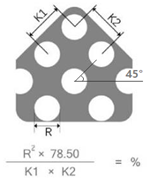 Standard patterns and Opening Area calculation. ● Widely used for different industries. © 3S Screen Australia Pty Ltd.